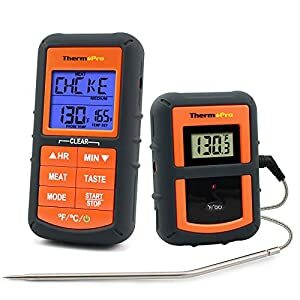 finally press” set” to get Max/Min/Avg/Diff values. 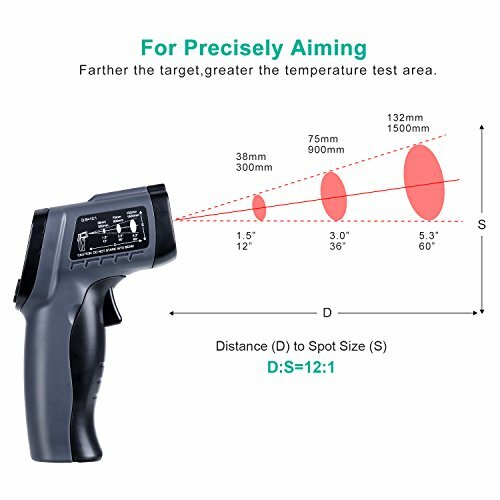 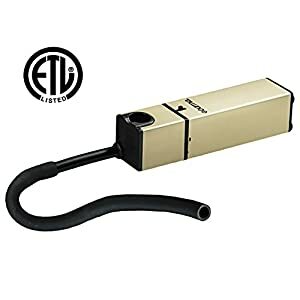 HIGH ACCURACY: Combining the latest temperature sensor technology and advanced Fresnel lens, this instrument reads values of high accuracy up to ±1.5℃/±1.5% in only 0.5s thanks to adjustable emissivity. 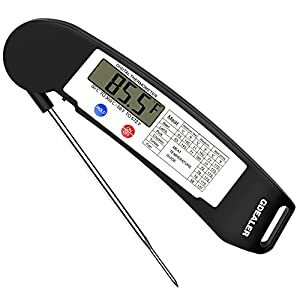 The distance to spot ratio is 12:1, which means you can measure the target at a longer distance. 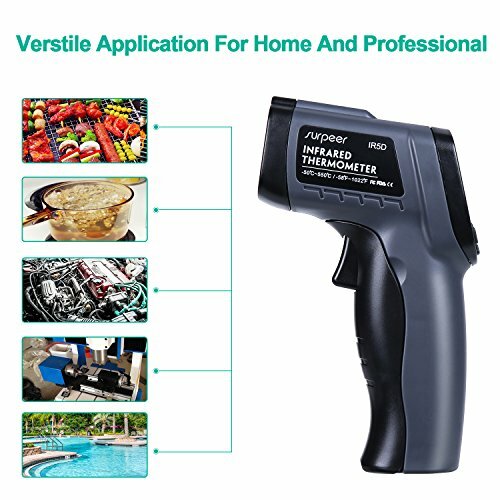 VERSTILE DESIGN: With wide temperature range -50℃～550℃(-58℉～1022℉), you can apply this tool in cooking, barbecuing, auto maintenance, home repair, or other tasks of household. To your surprise, it can also be treated as a cat/dog toy with a red laser dot. 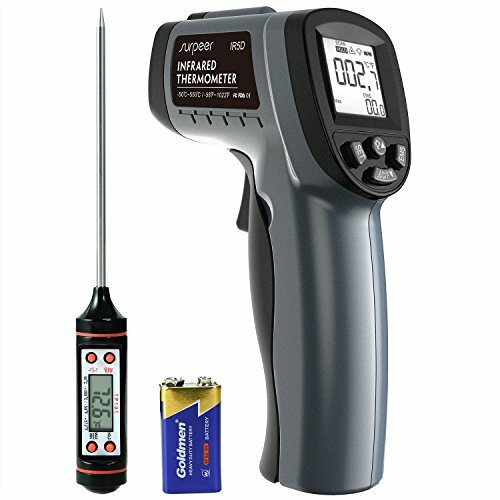 HIGH/LOW TEMP ALARM: With the built-in laser, you can target quicker, the LCD backlit can be turned on/off. 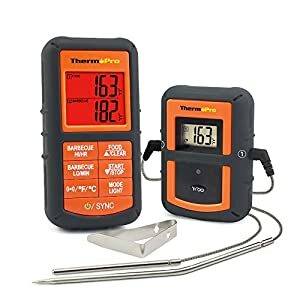 By slightly pressing the measure button, you can instantly get Max/Min/AvgA/Diff value; More importantly, the buzzer alarm will beep when the value reaches the high/low temp you have set. 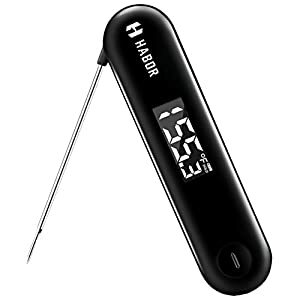 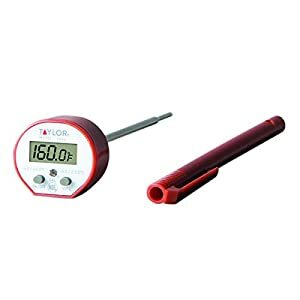 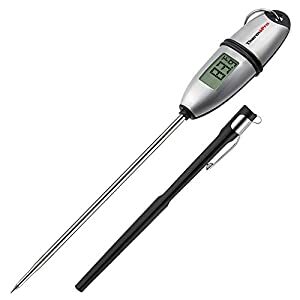 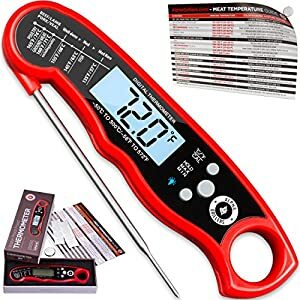 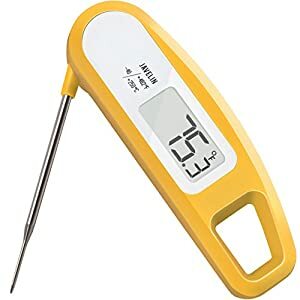 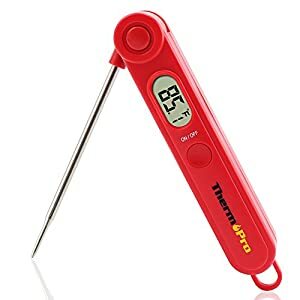 FREE GIFT MEAT THERMOMETER: Featuring quick reading, high accuracy (±1℃/℉), 10 minutes auto-off, long probe and 304 food grade stainless steel, it can measure inner temp of food with wide temp range -50℃～300℃(-58℉～572℉). 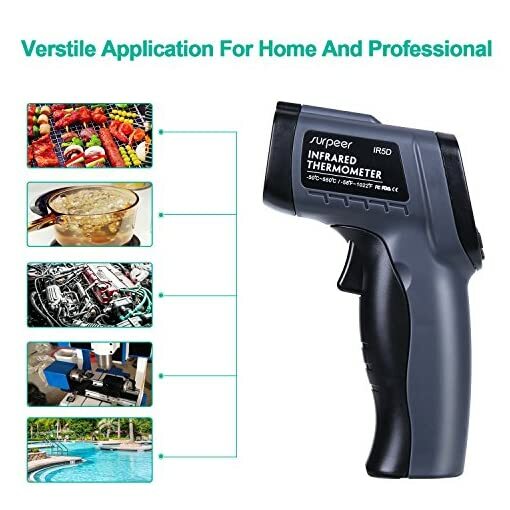 Together with infrared thermometer, it makes the best cooking aid for food lovers and gourmets.